Twelve young people who never dreamed they would go to university have been given a unique opportunity to study at Ulster University thanks to a new Northern Ireland Youth Forum initiative launched on September 29th 2015. ‘United For Change’ aims to make a major impact to the lives of unemployed and educationally disengaged young people by offering not only the chance of university study but also one to one mentoring, peer leadership training, overseas experience and good relations training. 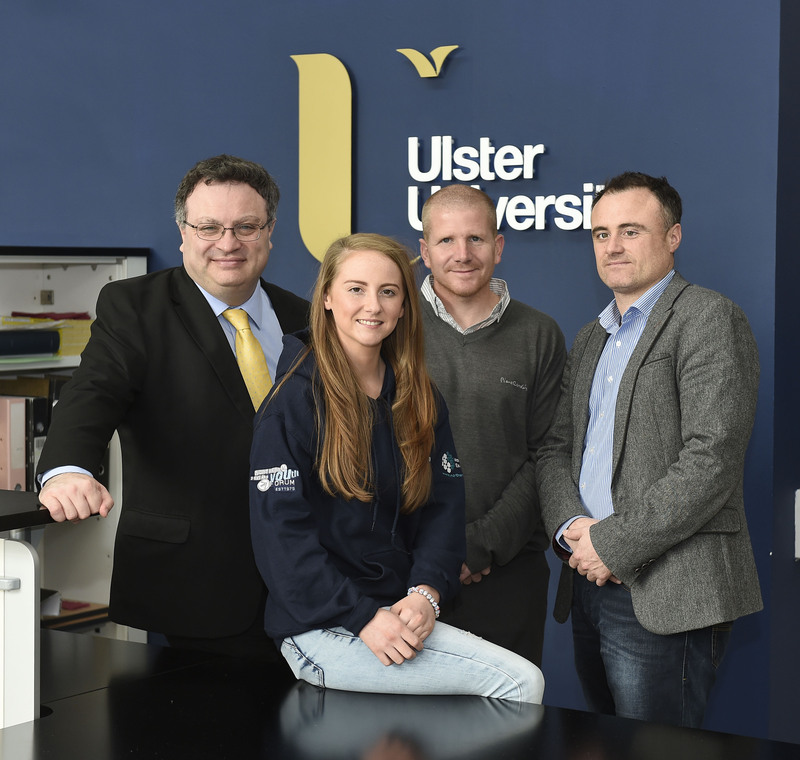 As part of the six month programme, the NIYF has teamed up with the Ulster University to run a nine week study course at the Jordanstown campus. The project is cross community with young people drawn from areas across Antrim and Newtownabbey. Already they have engaged in teambuilding; began accredited training at Ulster University; they have participated in a four day residential in Ballintoy and a number of learning days to various locations including Titanic Belfast. The young people say the programme is already challenging their preconceptions about different communities and boosting their confidence levels. Phil Glennon, the NIYF Co-ordinator of United For Change said that feedback from young people on the programme had been extremely positive. For more information contact Kelly PR on 02893340275, or 07581282723. United Youth is a key commitment in the Northern Ireland Executive’s ‘Together: Building a United Community’ strategy. The Department for Employment and Learning is currently leading on the development of United Youth on behalf of the Northern Ireland Executive. The 13 United Youth pilots are the result of an extensive co-design process that meant working with a large number of organisations – primarily from the community and voluntary sector – since 2014. A total of £3m was secured from the Northern Ireland Executive’s Change Fund to deliver the pilots. Each pilot represents a different approach to tackling the four key United Youth outcome areas – personal development, good relations, citizenship and employability – but central to all of them is a positive, youth-centred, youth- development approach. The purpose of the pilot phase is to test these different approaches, as well as the suitability of the outcomes themselves, with a view to developing a service design framework for the United Youth Programme post 2015/16. 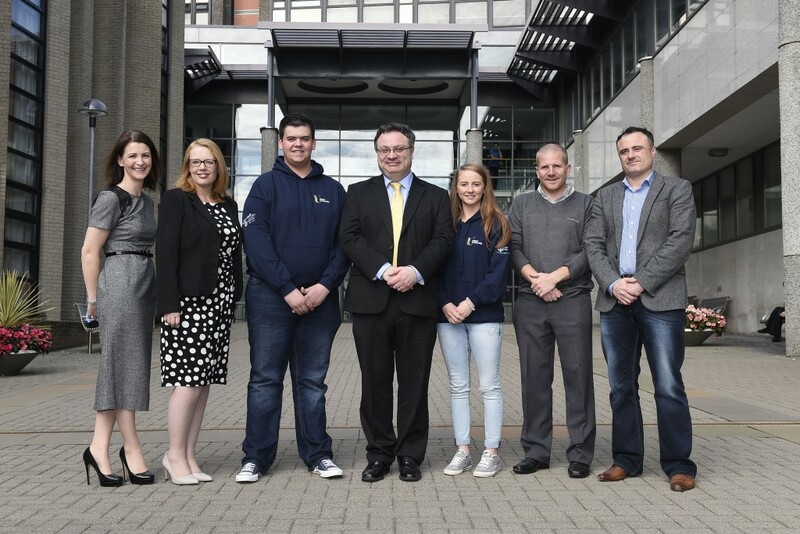 Employment and Learning Minister Dr Stephen Farry today launched the ÔUnited for ChangeÕ initiative aimed at young unemployed people. The Northern Ireland Youth Forum (NIYF) in partnership with Ulster University will run a six month pilot entitled ÔUnited for ChangeÕ for 16Ð24 year olds who are not in education, employment or training. This pilot is funded under United Youth. Pictured with Employment and Learning Minister Dr Stephen Farry are (right -left) Dr Jonny Byrne, Ulster University, Chris Quinn, NI Youth Forum and participant Sharon Adams from Newtownabbey.